Radish & Rye is proud to announce our second bourbon dinner of the year. Our Spring Bourbon Dinner will be held on Wednesday, May 4, 2016. This time we will be donating $25 of each ticket sold to the Santa Fe Animal Shelter and Humane Society. SFAS is the largest animal shelter and care facility in northern New Mexico, and receives no city, state or federal funding! Please consider joining us for this special evening of outstanding food and drink, and help support a phenomenal cause! Once again we are partnering with Buffalo Trace Distillery for the evening’s spirits, and bourbon expert, Bob Faulhaber will be on hand to discuss each cocktail served. Something new for this dinner is another partnership with a local Santa Fe business, Bolt Ride Clean. 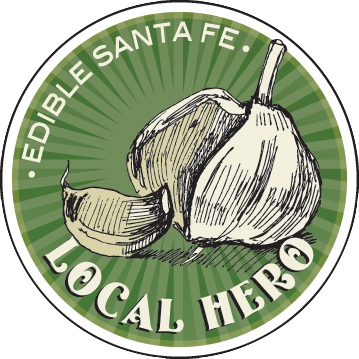 Bolt will be offering free rides to Radish & Rye, and will donate 15% of every fare home to Santa Fe Animal Shelter! Think about riding in one of their beautiful cars and keeping it clean! This promises to be a night to remember, so please call right away to reserve your spot. Seating is limited, and only 58 tickets will be sold. We will have two seating’s for the evening at 5:30pm and 7:00pm. Doors open at 5:30pm. View our Spring Bourbon Dinner 2016 Menu on our menu page. The new restaurant Radish & Rye, known as much for its extensive whiskey menu as its “farm-inspired cuisine,” and it’s suddenly possible to go all week without even thinking of a margarita. Famished after our Southwestern adventures, we made our way to Santa Fe’s newest hot spot Radish & Rye. This farm-to-table establishment prides itself on its love for the community by offering fresh food through local farmers and ranchers—and, lest we forget, Radish & Rye touts a killer spirits menu. We knew we couldn’t leave Radish & Rye without a little something to take home with us. We stirred up a 505 Manhattan: a sturdy cocktail with one of their 75 bourbon and whiskey choices on hand. The classic cocktail is said to pair perfectly with R&R’s Grilled Pork Chops with Smoked Pork Belly, Polenta and Porcini. Is your mouth watering, yet? With the rise of high-end bourbons and whiskeys, craft beer and wine may have some new competition when it comes to being paired with food. Having all the flavor complexities of its lower ABV cousins, bourbon and whiskey are no longer sitting on the sidelines as digestifs. Whiskey bars with food concepts — like Radish and Rye in Santa Fe and Noorman's Kil in Brooklyn — are inviting patrons to experience the spirits as an accompaniment to au courant dishes on innovative menus. One of the most exciting restaurants to open in Santa Fe in years, Radish & Rye is passionate about its support of local farmers and ranchers. Chef David Gaspar de Alba’s menu changes with the seasons, and he can often be found visiting the city’s incredible farmers market. Small plates include grilled heirloom artichoke with harissa butter and steak tartare with Calabrian chili, lime oil and quail yolk; seared lamb rib with salsa verde and rabbit ragu with spaetzle are examples of larger plates. The bar offers one of the area’s strongest bourbon lists, with more than 50 available. Any meal at this bistro should start with a drink. Cocktail expert Quinn Stephenson, of the legendary Coyote Café, has compiled a long list of American whiskeys and bourbons that’s a refreshing alternative to the city’s ubiquitous tequila cocktails (a person can only drink so many margaritas). Try the 505 Manhattan, a nod to Santa Fe’s area code that includes bitters infused with the flavors of traditional Mexican mole. 548 Agua Fria St.; radishandrye.com. Whiskey is a Gaelic word for “water of life,” and this is felt by anyone who steps inside Radish & Rye. The bar includes 34 selections from Kentucky, six from Tennessee, and nine from other parts of the continent including New York, Canada, Indiana, New Mexico’s own Taos Lightning Rye, and Santa Fe’s own Santa Fe Silver Coyote from the celebrated and award-winning Santa Fe Spirits Company. The new bar has already gained much recognition for its innovative approach to not only whiskey, but a unique farm-to-table menu that attracts locals and visitors alike.